Besides creating discomfort, drafty windows also drive up your heating bills. For a temporary solution, there are several quick and easy, DIY-friendly options at your disposal. Read on to learn more. 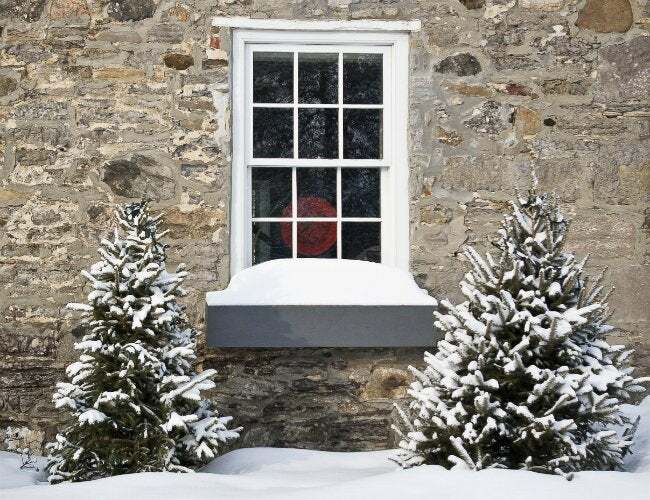 Here’s a cold-weather tidbit: Did you know that in many old homes, as much as a quarter of the heat generated by the fireplace, furnace, or heat pump leaks out through the windows? If you have noticeable, uncomfortable drafts, you can always consult with a contractor to reglaze the windows or even replace them. In the meantime, however, there are a few temporary do-it-yourself measures that can help you get through the cold season. First off, for a cracked window pane, seal the opening with clear nail polish or weather-seal tape. Leaky sash? Put V-seal weatherstripping along the sides of the frame or, if you don’t mind not being able to open the window, apply a bead of removable rope caulk around the full perimeter of the sash. It’s not the most attractive solution, but plenty of homeowners counter drafty windows with plastic film window insulation, readily available at home centers and hardware stores. The film goes on with double-sided tape and then, by shrink-sealing the layer with a hair dryer, you create an insulating buffer of air. Finally, if you’re dealing with an extremely compromised window, consider blocking it off completely. Here, use a piece of foam board glued to a sheet of cut-to-size drywall. Tape the foam side against the glass and, when the seasons change and the weather improves, remove the panel to welcome the spring sun.